My fly fishing journey started in 1954 at the tender age of 6 years and continues today with the same passion and energy it did all those years ago. With the help of an adopted uncle, Uncle Lake, I caught my first spirited little rainbow on a red tailed Invicta in the headwaters of the Buffalo River. 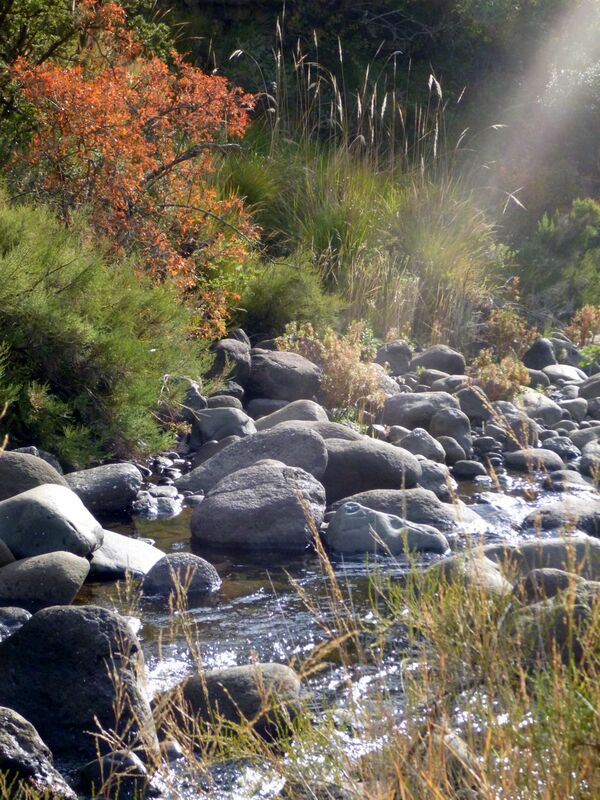 A wisp of a stream where it cascades through glides and pockets in the indigenous forests of the Amatola Mountains a short distance from King William’s Town in the Eastern Cape region of South Africa. Little did I know then what an impact and influence fly fishing would have on my life. The intensity of the journey did fluctuate from time to time when amongst other things priorities like career, marriage to my wife and best friend Colleen and the raising of our three children, Craig, Warren and Catherine, required me to put fly fishing on the back burner for a while. But, even then every window of opportunity was grabbed with both hands and my gear never quite made it to that dark corner of the cupboard surrounded by moth balls. The passion never died and instead it has been a wonderful journey of challenges and discovery, it has taken me to places of incredible natural beauty, bringing me enjoyment, happiness and countless cherished memories of the people I have met along the way, the places and encounters with the trout of so may rivers and streams, all indelibly etched in my mind forever. Apart from my travels to other fishing locations around South Africa and overseas, I have lived in the shadow on the KwaZulu Natal Drakensberg Mountains for more than 35 years, well not exactly in the shadow, but a short 2 ½ hour drive away. In this time I have gotten to know most of the bright threads that sparkle and shine in the deep valleys below the towering buttresses of these mountains, rushing first through pockets and cascading between massive sandstone boulders, stands of budlia and nchichi scrub, before settling into more steady flows as the gradient eases into inviting runs and deeper pools. Over the years in search of the wild trout that inhabit the cool, liquid crystal waters, I have trampled the banks of most of these streams getting to know them intimately, at times spending days alone or with a few companions far from any civilisation and enjoying the experience and adventure in a pristine natural environment, these are my home waters. These are streams as beautiful as you will find anywhere, loaded with memories – the run that holds a 2 pound brown, Puff-adder rock, named for obvious reasons, Steve’s confluence, Crossing Pool, the Bath Tub, all familiar landmarks. Then there are other natural features that are the markers that I know so well like the Yellowwood tree, the Bridge a natural crossing, Cathedral rock, the Bend. These are mostly permanent features unless the might of nature decides otherwise. Just as nature alters its landscape over time, my approach to flyfishing has seen its own shift, not the passion or the seriousness of it, but the urgency that previously influenced it has eased and with it, my pace has slowed. No longer do I need lots or big fish although the challenge and enjoyment of hunting trout is still the thing that draws me to these places. I now like to pause occasionally to soak up the surroundings and to rekindle that fundamental connection to the natural world, or just to sit quietly for a moment to recall previous outings, conversations with companions, or to take in the dramatic beauty of the towering peaks, to marvel at the perfection of a spider spinning its web or maybe to be amazed at effortless flight of a soaring eagle. Please note that all written and photographic material contained in this blog and its posts are the sole ownership of the author/photographer and may not be copied or used for any purpose whatsoever without the prior consent of the author/photographer having been obtained – Peter Brigg. Great start Peter. I look forward to reading more! Thanks Andrew, I hope it works out once I’ve mastered the upkeep. Nice Peter. Good idea and nice start. Peter, I really like this and am looking forward to regular reads. Wonderful start Peter. Look forward to receiving more soonest! Thank you Sharland – watch this space and I hope I won’t disappoint. Hey Peter,great site,going to add it to my bookmarks bar! Thanks Ryan, now the work to keep it going and hopefully of interest. Peter, As the hard copy “Call of the Stream” gives me tremendous pleasure , I believe this version will tickle the interest with the same intensity. Thanks, I’ll give it my best shot. Hello Peter. Wonderful reflections, I look forward to future inputs. The photographs are great. Good to hear from you Eddie and thanks for the positive comments. Hi Denise, thanks you. I hear through Ed you have some good things planned for the Karnemelkspruit? Hi Peter, wonderful to see this new blog! I have the book and like you, have been in the shadow of the ‘berg for over 25 years, always exploring and I am now starting to really enjoy the little stuff. Really looking forward to reading more, and the photography is stunning! Thank you Quentin for your comments. The Berg streams are indeed special and in such a beautiful environment. I will do my best to keep the site interesting and fresh. all the best and hope to catch up on the river bank sometime. A wonderful, evocative blog with superb photos. This will become part of the SA fly fishing landscape. Thank you Peter! Thank you Mike. I appreciate your positive comments. Peter … like the feel of a good water. With the first glance you know it holds promise. With the first step you sence the opportunity. With the first cast you anticipate the engagment. With the first hook-up you renew your senses. From the first post we traded several months back on Facebook, I sensed a kindred spirit, haunted by water and in pursuit of bringing that passion to the media stream. I was not wrong. Well done. Enjoyable prose and splendid captures. Haunt on. Watchin’. Thank you Les and simply put, ditto. I always enjoy your comments and responses beautifully written and expressed – the pleasure has been mine. I was looking for some new blogs to read when I found yours via Truttablog. I’m so glad I went looking because you’ve got it nailed. I’ll be following along Peter. Pleased you enjoyed it. I try and make mine a little different by mixing the posts among other things, stories of my flyfishing experiences, fly tying and a little technical stuff. – all the best. It is flexible and I use medical IV tubing which has a diameter of roughly 2 to 3mm. The important thing is to make sure that the volume of yarn indicator material is sufficient to ensure a tight fit. If there is not enough the indicator will tend to slide along the leader. Hi Peter. Just stumbled across your blog while trying to find the correct meaning for ‘Injusuthi’! Great to see you are still packing your life with quality ‘stuff’ and getting out to all those amazing places. Makes me remember good times. Wonderful images too. Heres wishing you a belated 2014 and may your feet continue to carry you far into those misty mountains. John and Greg will be with you all the way! Best regards, Jenny Bosch. Greetings from the other side of the world Peter! I am privileged to have fished two of the Drakensberg rivers in December 1998… A place like no other on Earth. Your blog more than does justice to the beauty and pristine environment on your doorstep… Thank you for sharing and I look forward to reading through your posts. Best regards and tight lines – metiefly in London. It is indeed a very special place and I have been privillegd to have been able to experience so much of it. I leave in a couple of weeks for 4 days hiking in the Berg and fishing some of the pristine high altitude streams. Thanks for your support. I stumbled upon your blog and as so many others have already said it is excellent in so many ways. I concur. I fish the Catskills and throughout New England with bamboo, silk, skeleton reels and mostly classic patterns. I think the organza wings, on your spinner are something special. Is there an online source for the wing mat’l used? Thank you for your kind words John. You sound like a kindred spirit. I was recently involved with mounting a exhibition at the CFFCM showcasing a little of what we can offer flyfishers in SA. The orgaza comes from a local haberdashery store. I buy patches of the organza wedding dress material in the colors I want and then split taking out just the threads with the sheen and use for winged dry flies. Got to get to Rhodes sometime. I think we would all like to spend more time in the N E Cape.